Mark Cameron outlines what is required to lead the process of creating an exceptional customer experience in the third and final part of his series. In part one, Cameron outlines the importance of understanding customer wants and needs in the experience economy. In part two, he discusses how to make the most of the ‘creative destruction opportunity. Some time in the months before July 2006, senior executives at Nike made a decision that shaped its digital strategy. It created ripples in the world of personal electronics that are still being felt today. At that point in time, Big Data was being talked about worldwide as an emerging competitive advantage and many companies had started to dive head first into collecting customer data with a view to drive more efficient and targeted communications. But Nike took a different approach. As one of the world’s most recognised brands, Nike had more than enough resources to obtain, store and utilise data to drive its marketing communications strategy. Nike also had the clarity and courage to realise that a digital strategy is most powerful when it is a true representation of its brand. Nike’s brand isn’t about selling shoes. It is about optimising performance. 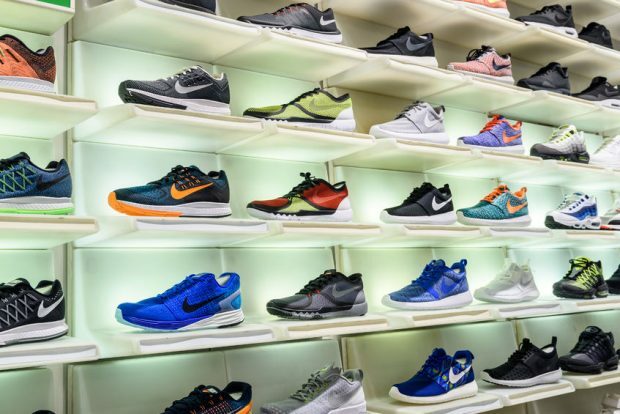 So instead of using all its resources trying to sell more shoes, Nike created a digital platform that focuses on and improves the athletic performance of customers wearing its products. A sensor built into the shoe of a Nike sneaker that measures how far you have run. From this, the world of fitness tracking was born. Ten years later and the experience Nike pioneered is an industry in itself. This story is an illustration of how a company can create a significant competitive advantage by being true to its brand and focusing on customers’ needs to design breakthrough experiences. We can learn from this that a focus on providing great experiences can take your business to the next level. In this series of articles we have looked at a few of the key concepts covered in Pine and Gilmore’s book The Experience Economy, which builds on the concept of making customer experience a product in itself. Part one covered how customers perceive value and how businesses can better design offerings in order to move up the value chain. In part two, we looked at how businesses can evolve and why personalised products and experiences drive margin gains. In this article we will discuss what is required to lead the process of creating an exceptional experience. Help your team understand that remaining still is not an option. Your customer’s expectations are constantly evolving, creating the ‘burning platform’ for transforming your business. Yes, there are risks associated with pushing the boundaries, but the opportunities are also great. Use both fear of irrelevance and the excitement of greatness to motivate your people. You need a team that will not get lost in complexity, and will deliver successes that create momentum. You’ll need digital strategists who can think about technology creatively. People who have a deep curiosity about your customer’s needs. People who can cut through the complexity to design simple and elegant solutions. People who are relentlessly and ruthlessly focused on delivering outcomes. Analyse your data. Observe your customers, and talk to them. Validate your team’s hypotheses through surveys and workshops. Identify the unmet need, the job your customer is trying to do. Develop a detailed story that very clearly outlines the direction the business is going. Make sure it is understood by the whole business, and let them know the pathway to get there will need to be discovered through action. Start simple. Move quickly. Constantly show the business – and the market – your progress. Change happens through action and one small success after another. Identify the type of experience you want to deliver. An experience is always going to create an emotional reaction. 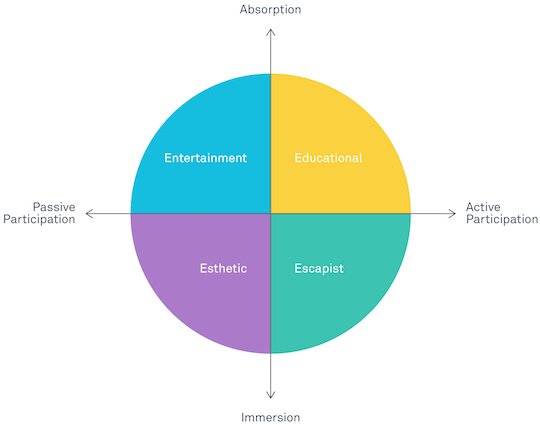 It is good to know what type of reaction you want out of your audience early on in the design process as this will help you understand how the audience will consume the experience. Theming your concept. For your experience to generate the maximum impact, all aspects of it need to be brought together through a unifying theme. An effective theme is concise and truly compelling. It is not a mission statement or a marketing tag line, and need not be publicly articulated in writing. Identify positive cues. The theme of your concept forms the design foundation. From there, the impressions left on the audience are the ‘takeaways’ of the experience; they fulfil the theme. What are the positive impact points that your audience will talk about with their peers? Deliver, learn and improve. There is never an end point to designing an exceptional experience. Always aim to learn more about your audience and push the boundaries in order to improve. Quite simple when it’s put that way. But the piece of the puzzle that wasn’t discussed in the series is the one that is most important – courage. To create something that is transformative you will need to have courage to listen to your customers. Courage to do new things. Courage to fight the resistance to change, and the courage to do something outstanding.